Thank you everyone who came to visit our show in Spazio Rosanna Orland with LOBMEYR. Ripple now is officially ready on the Market!!! 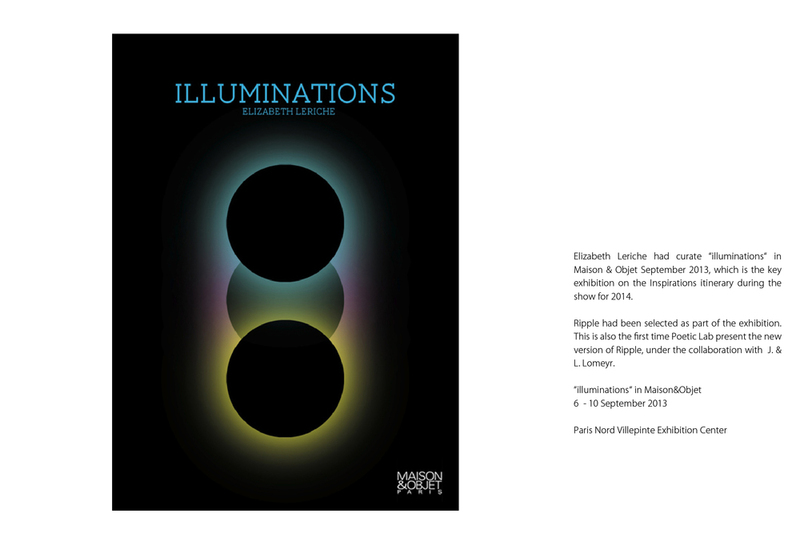 This year, Poetic Lab will have three shows in Salone de Mobile 2014. First of all, we are launching the "Ripple Light" with highest quality Crystal manufacture - J. & L. Lobmeyr in Rosanna Orlandi's Gallery. We are also presenting our latest project in Salone Satellite- "Bamboo forest". We collaborate with the best bamboo supplier from Japan - Yokoyama and Windsor Workshop in UK, explore the new possibilities with traditional craftsmanship and contemporary production industry. Finally, we have been invited by In Residence - Design Dialogues to take part of their latest exhibition - DESIDERABILIA, it is an experiment, a survey to be aware of the constraints that, more or less inevitably influence the choices and ambitions of individuals. ". For this exhibition, IN Residence - Barbara Brondi and Marco Rainò - asked 25 international designers to design their own "object of desire". 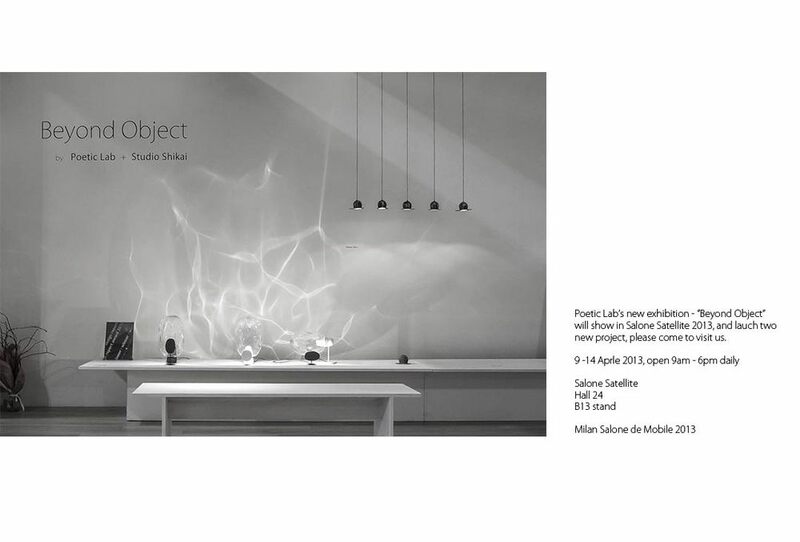 <ADD> Via Ventura 6, MilanoIf you have a chance to visit Salone in milan, please do come to see our shows! looking forward to see you here.